OK, this is the first “official” time I am attempting a full blown, personal, Tableau Vivant. 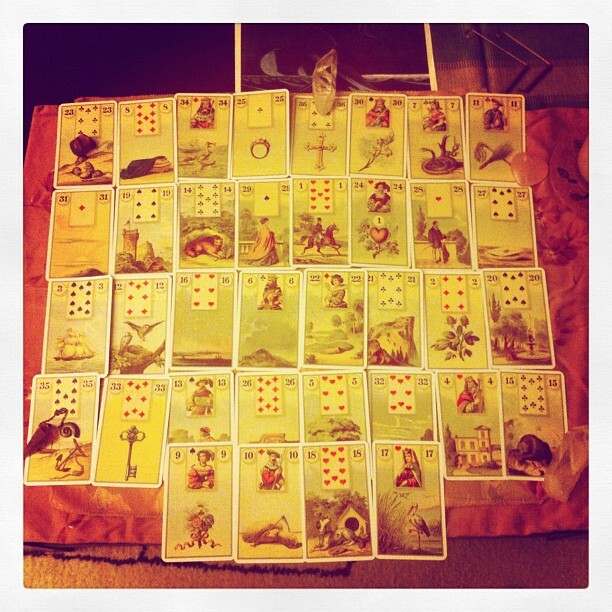 Bless me, Mlle Lenormand! First Row: Mice, Coffin, Fish, Ring, Cross, Lilies, Snake, Birchrod. Second row: Sun, Tower, Fox, Lady, Rider, Heart, Gentleman, Letter. Third Row: Ship, Birds, Stars, Clouds, Crossroads, Mountain, Clover, Garden. Fourth Row: Anchor, Key, Child, Book, Tree, Moon, House, Bear. Firth Row: Bouquet, Scythe, Dog, Stork. And here is a daily personal draw, using Postmark Lenormand and Pettit Etteilla. Although the Postmark Lenormand cards appear unshuffled, I am faithfully accepting the fact that each draw is perfect. 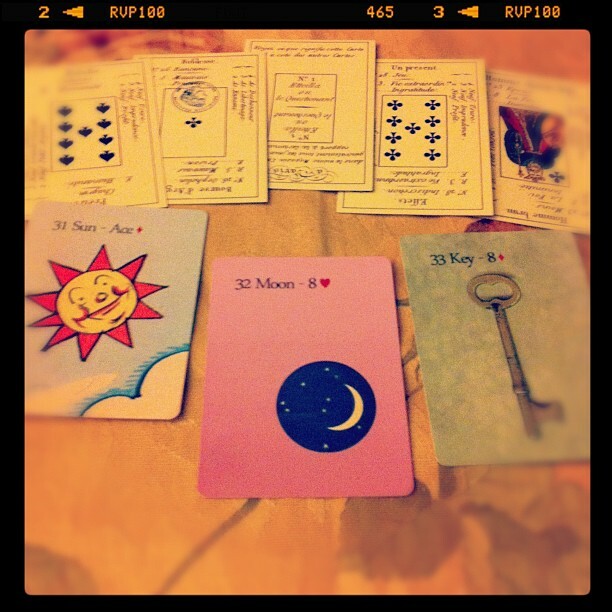 * I must mention that I do not speak French, so I use an online translator to understand the meanings on the cards.